June has gone past and the summer vacation season is going! That means that there isn’t that much going on at the office at the moment but below are some highlights for you guys. And let’s start with that even though it’s summer, we’re actually still waiting for the summer weather, 15 Celsius degrees isn’t a summer on my scale. Regardless we did have a nice barbeque party which included soda and burgers. Unfortunately we have no pictures from the party as it was raining a bit, or support team might have been too busy eating the burgers. One of these reasons! Although it’s time for vacations, people who have been at the office have been working hard. We released a patch for Has-Been Heroes last week. This patch included a lot of important bug fixes, for example using charm is now risk free. If only I could get it once in a while though, in my opinion it’s one of the greatest spells! We have added players to the Hall of Heroes almost weekly, but we are still looking for the first player to conquer the game on PlayStation 4. Do you have what it takes? Click the picture to get to the Hall of Heroes. Who is to join the legendary warriors next? What is this? 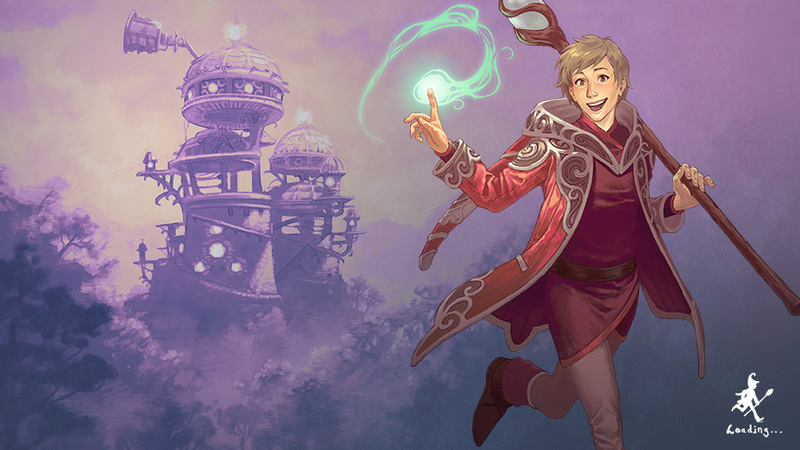 A wallpaper of Cornelius from Nine Parchments. Click for a bigger view! The Trineology was an adventure that showed me what gaming (making games) could be. Inspiring. We still have a couple of character introductions left, so stay tuned! I hope you get your siblings convinced. I guess we will have a new character introduction tomorrow and the last one on 18th. I hope we will have a release date as well soonish. I expect it to be around in late Q4 but would be cool to know the month. Sorry about the release date info, we can’t tell you anything about that just yet. I was trained to be a fortune-teller in the astral academy before a magical accident brought me into this world. So can you do a little reading for us all at the Frozenbytes?